As work is set to start again on the former Ikea site at Bamber Bridge, we catch up with the latest on the project. The Cuerden Strategic Site was going to be central Lancashire’s major retail development of the decade, with Ikea the flagship tenant. Planning permission had been granted for the site at Bamber Bridge and preliminary groundworks had begun when Ikea threw a major spanner in the works by pulling out of the development. The future of the site is now very unclear. A significant amount of work has been done on groundworks and drainage, as well as improvements to the surrounding network. But without Ikea to attract other businesses it is not clear whether the site will be economically viable. 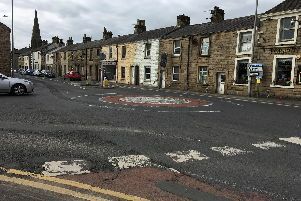 Lancashire County Council – the site owner – has announced that it will continue work at the site although the nature of the works – to protect and weather proof the temporary roads and drainage – suggest that it will be mothballed at least for the immediate future. Stephen Young, executive director for growth, environment, transport and community services at the council, said: “Good progress had already been made on preparing the site for development, but this work has temporarily stopped while discussions take place with our partners and other companies about the future of this key site. “Later this month we’ll be starting work on some measures to secure the site and protect the site preparation work that we’ve already done. This could take a few months to carry out, with the majority of the activity taking place within the area of the previous temporary work.